3mm thick mdf Xmas sign for decoration. 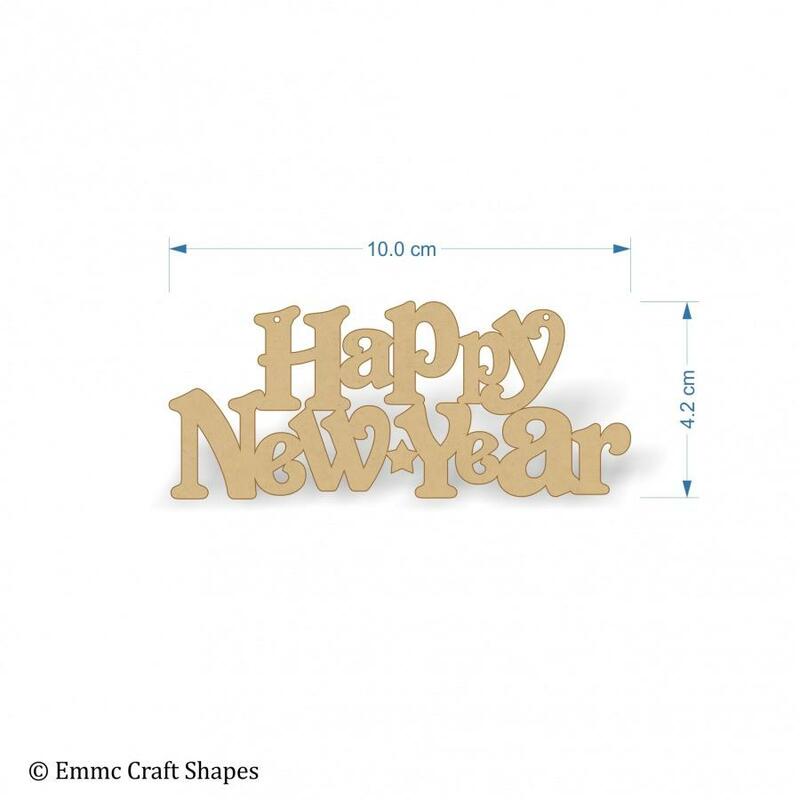 Please Note the 10 cm Happy New Year Text is not available with hanging holes. 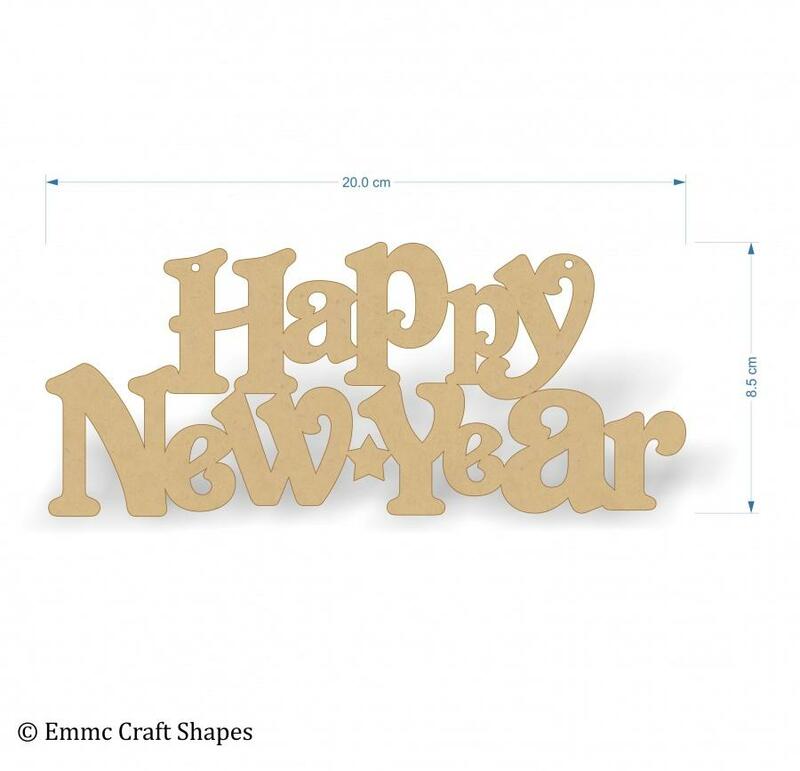 This Happy New Year Text blank is laser cut from 3mm mdf wood. It's perfect if you're having a party to celebrate the arrival of the New Year. 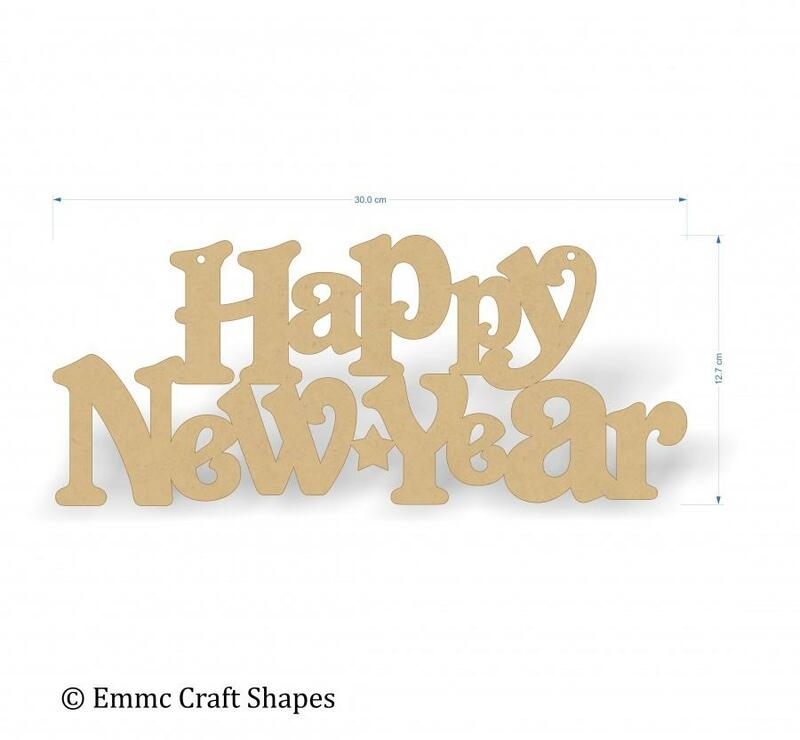 Decorate the text by painting it, or you can decoupage it, make it bright by adding your own embellishments and use the happy new year text as a decoration for New Years eve party. 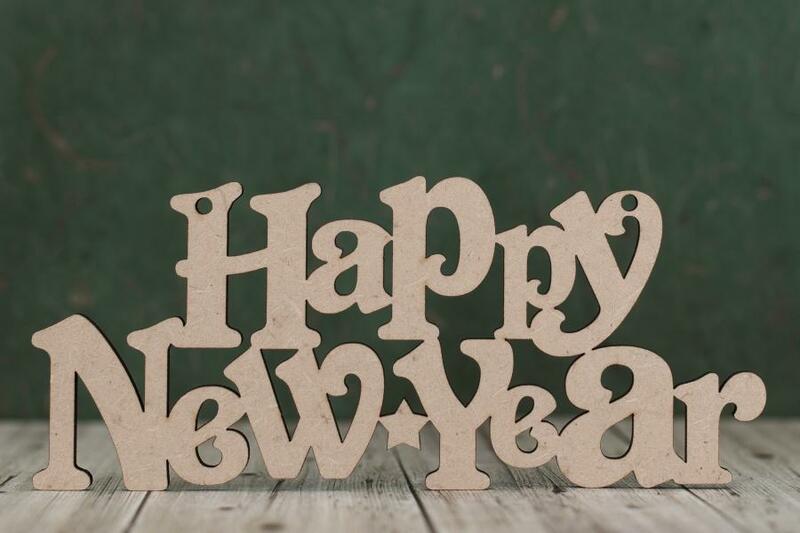 The texts also make great alternatives to happy new year cards, personally hand crafted, sent to friends and loved ones to wish them all the best and a happy new year.